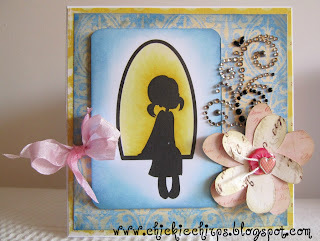 Arabella chose Girl in the window digital stamp. The background looks really cool and the lovely embellishments go perfect with this digi. 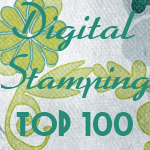 Lysa chose Kimmie digital stamp, love the color combo and the sentiment! Those papers are so pretty and match this Karber cutie outfit. Wow both of these cards came out super pretty!